How unorganized data could drive you crazy! 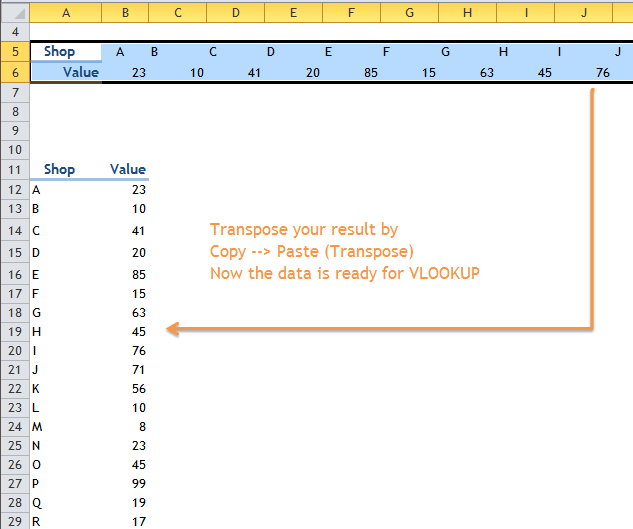 This is about how to clean up data for a simple VLOOKUP task. 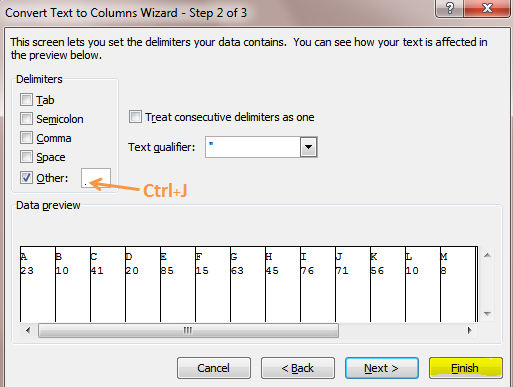 To be more specific, how to separate data delimited by line break in a cell, as you see in the following screen shot. Text to Columns comes to rescue. How? Now it’s ready to FINISH. The result should look like the screen shot below. 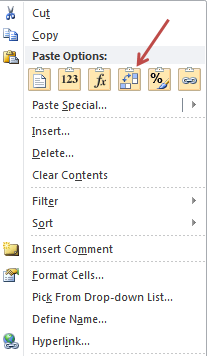 Please double-click inbetween the row labels to autofit the row height. Although the data is now ready for HLOOKUP, let’s transpose it back to have the look and feel of the original data. 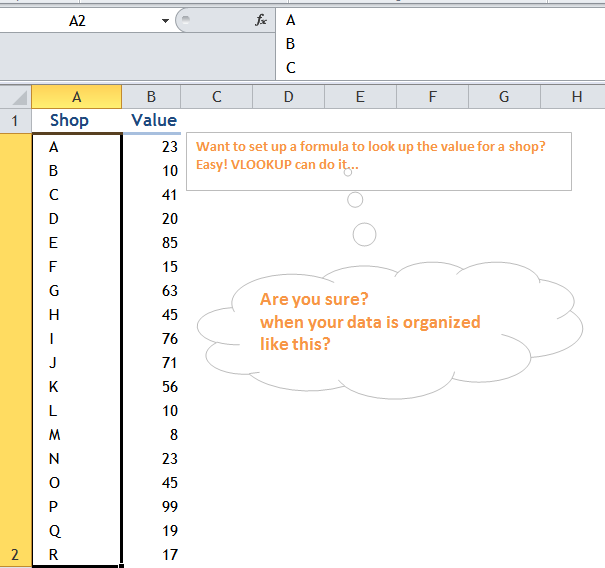 Don’t know VLOOKUP? 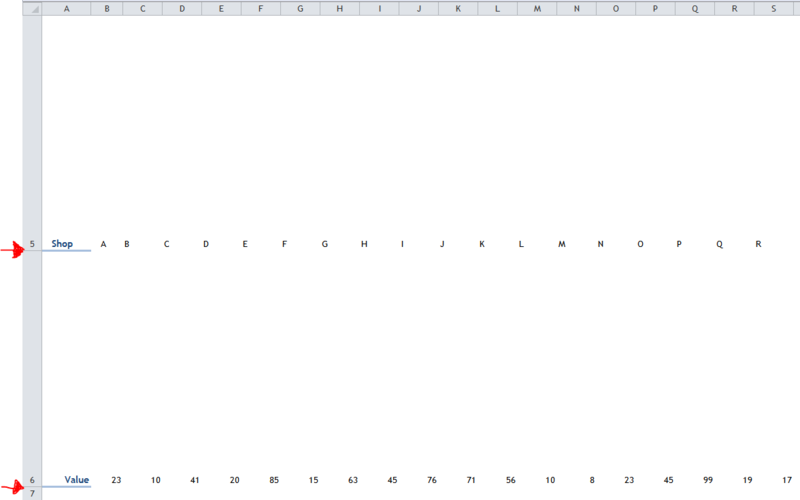 No worry, I have many posts of VLOOKUP for your reference. Please DO NOT input various data in a single cell by inserting line break just because you know how to input line break. If you want to remove line break quickly, please read this. 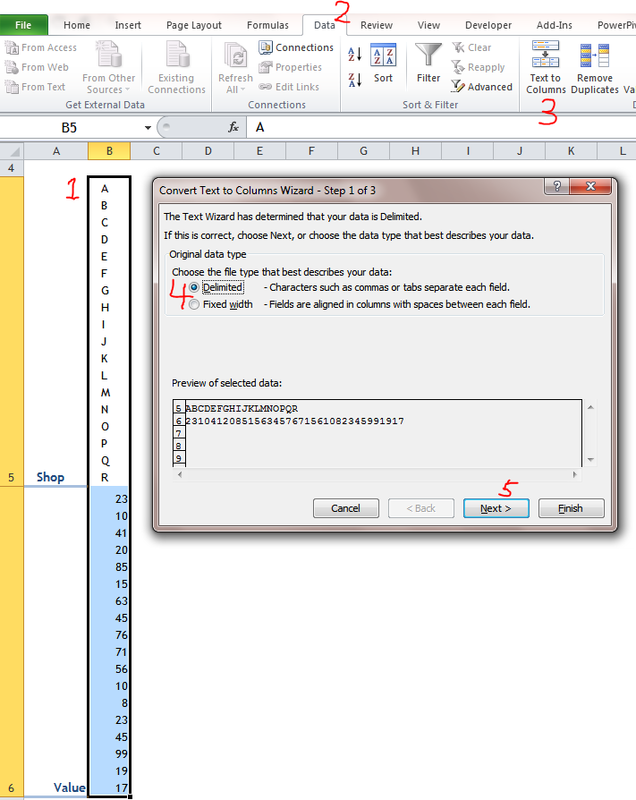 This entry was posted in Excel Tips and tagged Data Cleansing, Text to Columns. Bookmark the permalink.